Do you think cruising just isn’t for you? Or do you like the idea of it but don’t want to be stuck on a huge ship with thousands of people? Good news! We’ve got the perfect cruise for you: SeaDream Yacht Club. SeaDream yachts are just that – yachts! They can go to smaller ports that your average cruise ship couldn’t even dream of, and guests get to experience off-the-beaten-path destinations. You can explore hidden gems like Martinique in the Caribbean or Menorca in the Mediterranean rather than stopping at major cruise ports with hundreds – even thousands – of fellow passengers. SeaDream is just the answer for those who want to avoid flocks of tourists! Start your journey with a warm welcome from the captain, himself. With nearly a 1:1 ratio of crew to guests, SeaDream’s personalization and attention to detail are unmatched. And after only a few days on board, the crew feels more like family. It’s like being a regular at your favorite bar, except you don’t have to worry about a tab…premium wine, beer, and spirits are all included! If you think dining on a cruise equals an all-you-can-eat buffet, think again. SeaDream sets the gold standard for food onboard. Everything is made fresh to order, and you can dine in the elegant Dining Salon or al fresco at the Topside Restaurant. 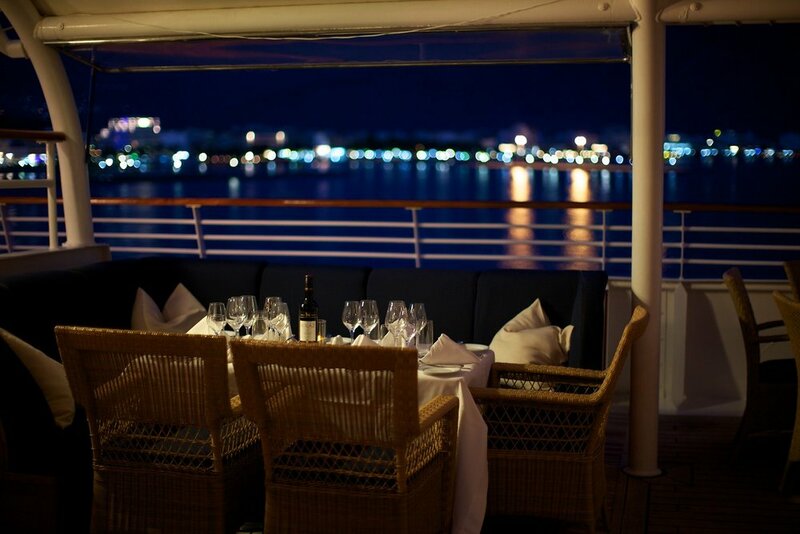 With innovative menus, 5-star cuisine, and world-class wine, it’s easy to get used to the yachting life! With only 112 passengers, the experience aboard a SeaDream yacht is much more intimate and personalized…like you are on your own yacht. And no need to worry about a stiff dress code. SeaDream is all about casual elegance, no suit and tie required. Calm waters on your day at sea? 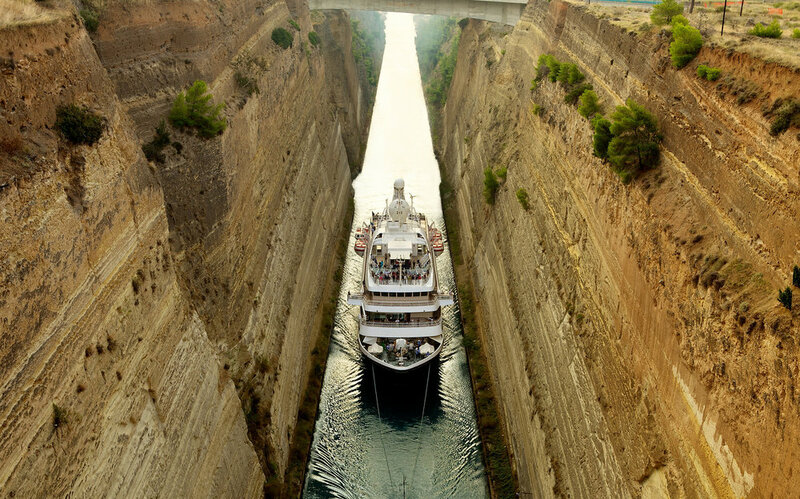 The captain may decide to make a pit stop for a dip in the Mediterranean and pull out the marina and water sports. SeaDream offers plenty of ways to experience each destination, and these aren’t your average shore excursions! Whether you want to take a tour of the markets with the chef or go on a bike ride with the cruise director, you can enjoy port with a small group (no big tour buses here!). For those who want a little R&R back on board, spend some time at the spa, lounge by the pool, or head down to the aft deck which doubles as a marina platform for water sports!